INDUSTRY.co.id - Jakarta-Regional Investment Forum (RIF) 2017 in Padang 15-17 October will bring the theme of Showcasing Investment Opportunities in the Indonesian Tourism Industry, which is in line with government priorities to develop investment in tourism sector. "The tourism sector is very strategic to build the distribution of development, so the investment is also spread not only concentrated in Java," Head of Investment Coordinating Board (BKPM) Thomas Lembong in his official statement Thursday (5/10/2017). Based on BKPM data, investment realization in the tourism sector during the period 2012 - 2016 grew an average of 17% per year. In the first half of 2017, the value of tourism investment realization reached US $ 929.14 Million or Rp 12.4 trillion. This value grew 37% from the same period last year. "The positive growth shows that investment opportunities in this sector are very prospective," he said. Thomas said investors from Singapore still dominate investment in this sector, reaching 43% of total investment that entered during the first half of 2017. Furthermore, China which amounted to 29% and Malaysia 5%. 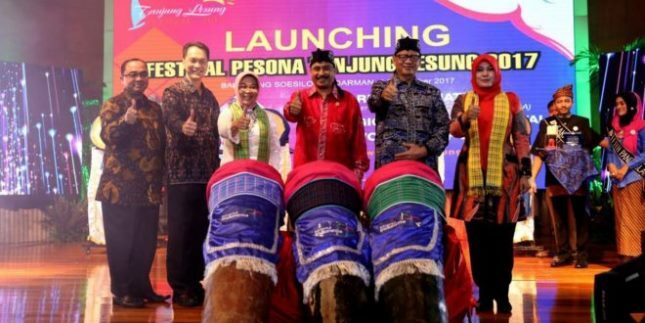 Thomas said the RIF's activities in Padang are one of BKPM's initiatives to support the efforts of President Joko Widodo's administration in developing the tourism sector. Until 2019, the government targets the number of foreign tourists to reach 20 million people per year, as well as domestic tourists amounted to 275 million people. The Investment Coordinating Board (BKPM) will offer six Indonesian tourism destinations to investors in the 2017 Regional Investment Forum (RIF) event. The six priority tourism destinations on offer are Lake Toba (North Sumatra), Tanjung Kelayang (Bangka Belitung), Tanjung Lesung (Banten), Thousand Islands and Borobudur (Central Java) and Bromo-Tengger-Semeru ( East Java), plus 2 integrated tourism areas in West Sumatra namely Mandeh and Gunung Padang.